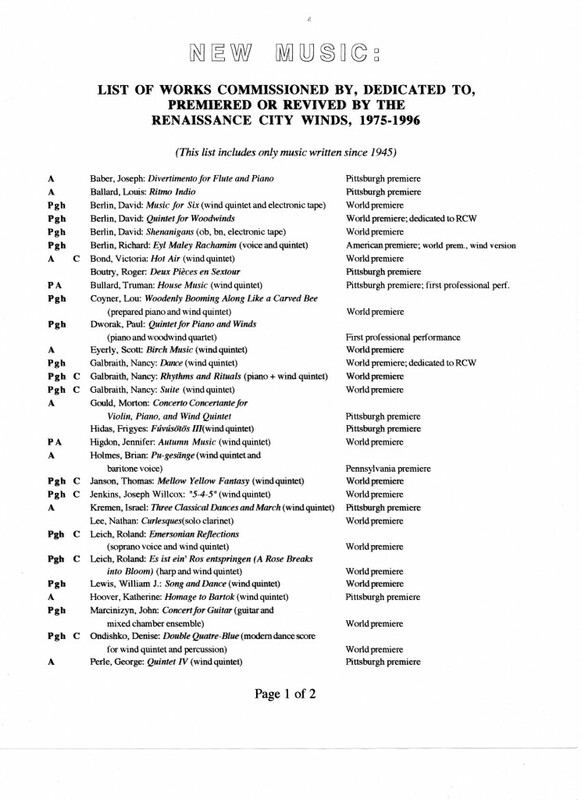 The Renaissance City Winds has been a tireless proponent of new music for four decades. The ensemble has commissioned dozens of pieces and premiered over 100, and makes a real effort to give second and third performances of worthwhile works; far too much fine music gets set aside after its premiere! A central part of this effort has been to perform not just the music of famous people, but to give a voice to young or obscure composers whose work deserves to be heard, especially those from western Pennsylvania. 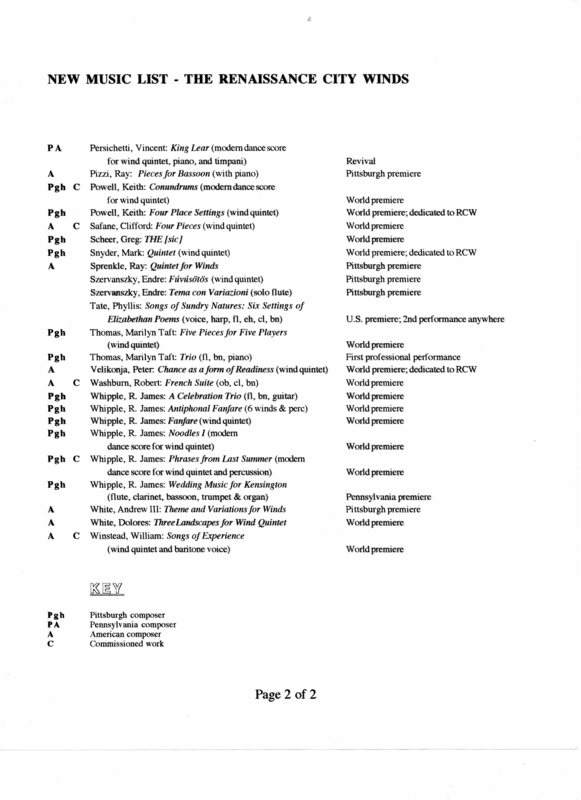 A complete catalog of premieres is being prepared; what follows is a partial list from the first 20 years.